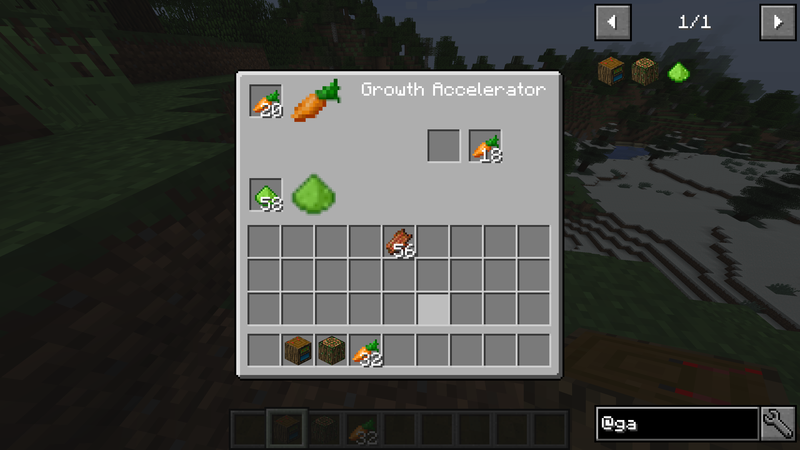 You put the plant you want to grow in the upper left slot in this example a carrot. 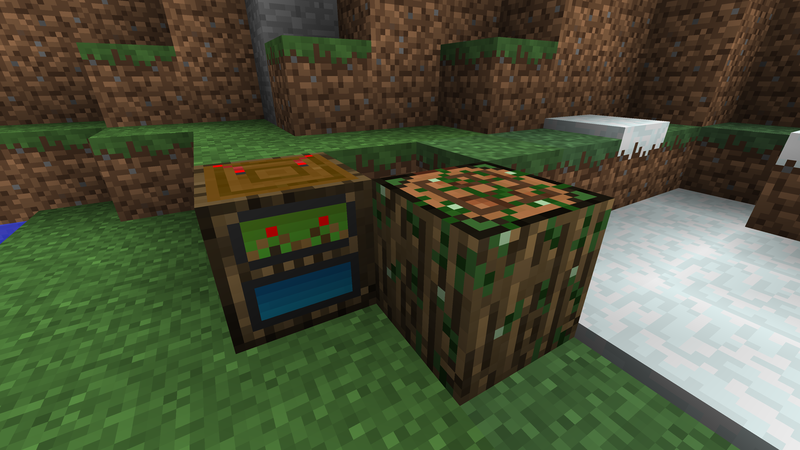 For every grow process you need one Fertilizer in the left bottom corner. 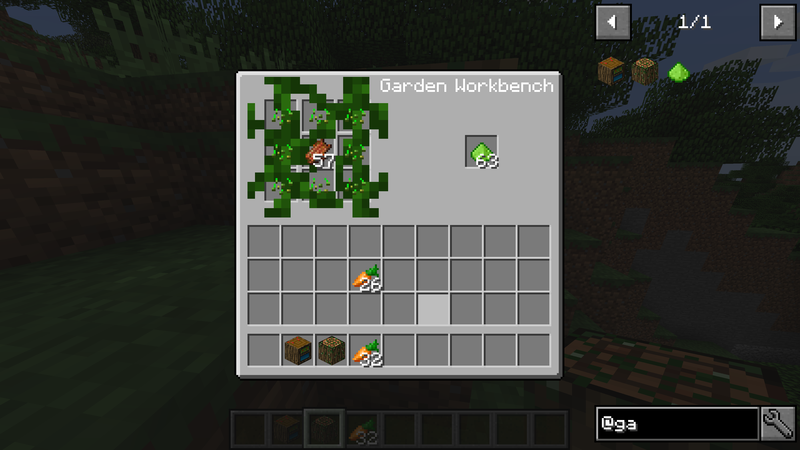 You will get 3 Items out of normal Plants and 4 out of Plants with Seeds or Saplings. Ration: 1 Sapling 3 "Fruits"
I made a video to support the mod as well as get it noticed, its a really convenient mod I've wanted but never found in a smaller scale compared to Thermal Expansion's Phytogentic Infuser which if I don't want a big mod and just the block isn't great; or Tesla Powered Thingies/Mekfarm (same mod just changed names upon 1.12.2 release) which is smaller but a different package of blocks and depending on mod or machine choices or choosing if I want Tesla or RF to power them is just a bit of extra that can be annoying at times. 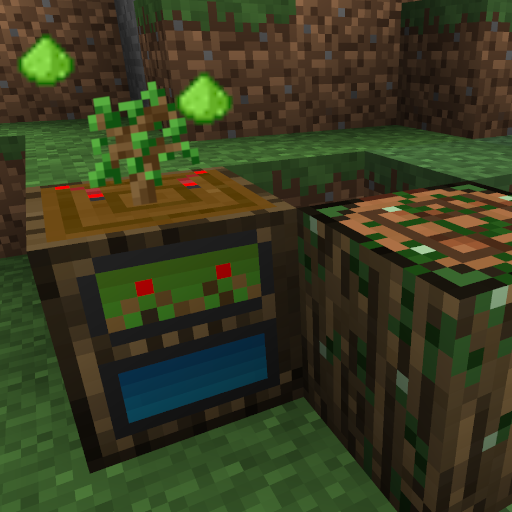 (I probably could have covered the vine textured version of the workbench but I thought I'd leave it out besides the screenshots you had just encase and instead only mentioned it/showed the screenshots). good job thankjs for supporting my mod. Your welcome, I'll take that into consideration next time, might have been recorded before I changed the volume settings so I'll look into that. After comparing my video dates of those I'd recorded around the same time as well as comparing the re-listening to the video I noticed it was of the volume changes to maximum period of videos since I had come across those responses too and wanted to make sure it was either the volume level of the software or myself. So it must just be how I speak too softly or too fast at times, I'll try to practice that, I have noticed and am trying to build up to it better. psssssstt... "And convert seeds into other seeds"..